Directions to Stop #6: Leave the parking area at Fort Scott National Historic Site and turn left (east) on Wall Street. After going under US Highway 69, Wall Street turns into US Highway 54. Travel east on US Highway 54 for about 11 miles until you reach the intersection of U.S. 54 and Old U.S. 54. Turn right into the truck stop. This tour stop is located in Deerfield, Missouri 64741 about halfway between Fort Scott, Kansas 66701 and Nevada, Missouri 64772. 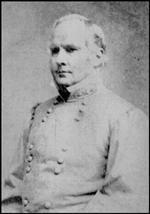 In the fall of 1864, Maj. Gen. Sterling Price led 12,000 Confederate cavalry on an ill-fated raid through Missouri. He was defeated at Westport on Oct. 23, then pursued south by Federal cavalry. The demoralized Confederates were hindered by a train of approximately 500 wagons, loaded with captured supplies. Disaster struck again on Oct. 25. Nearly hafl of Price's army was routed while protecting the wagons as they crossed Mine Creek in Kansas. The fugitives and wagons were pursued throughout the afternoon, their trail marked by discarded weapons, abandoned horses, and burning farms. Late in the afternoon, the wagons reached the Marmaton River at Douglass Ford, a mile northeast of Deerfield, Mo., the only place where wagons could cross. To save his train, Price ordered Brig. Gen. Joseph O. Shelby to slow the pursuers. Shelby commanded Price's only intact division. He selected a position on a low prairie hill between Shiloh and Cottonwood Creeks six miles northwest of Douglass Ford and deployed his best troops behind fences and stone walls. They were supported by units that had been rallied after the defeat at Mine Creek. In the woods on his right, he concealed the unarmed but enthusiastic recruits of Col. Charles Tyler's brigade. In all, Shelby had about 8,000 men, although most were demoralized and unreliable. At 3:30 p.m. the Federals came in sight. Brig. 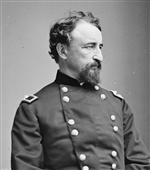 Gen. John McNeil's brigade led, followed by Lt. Col. Frederick Benteen's brigade; the other Federal brigades trailed miles behind. McNeil's weary brigade, which numbered about 1,000, deployed 800 yards from the enemy. 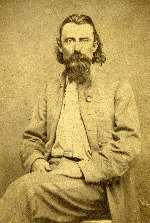 Although outnumbered and outflanked, they were flushed with victory; the Confederates were near collapse, so McNeil ordered an immediate attack. The sight of the grimly advancing Federals threw the Confederates into disorder. To gain time to rally his line, Shelby ordered Tyler's unarmed men to charge, which forced McNeil to halt. Shelby counterattacked, but was driven back by shell and cannister fire from two 12-pounder mountain howitzers and two 3-inch rifled guns, which had reinforced McNeil. Benteen's brigade came up on McNeil's right. They advanced together, but were forced to halt when Benteen's men came under friendly artillery fire. When the advance resumed, the horses, exhausted from days of marching and fighting, would not charge, so the Federals halted 300 yards from the enemy and opened fire. The 4th Iowa Cavalry saw the Southerners wavering, and advanced. 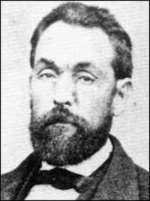 As Shelby's left began to disintegrate, Col. Sidney Jackman's brigade arrived from reserve and drove the Iowans back.